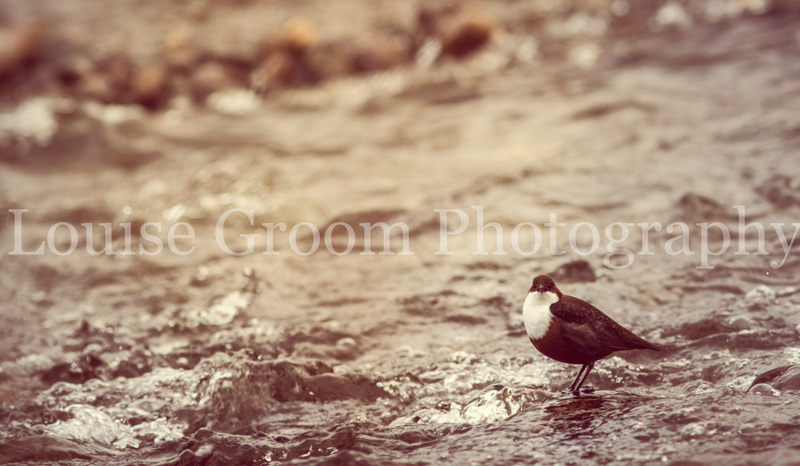 Dipper (Cinclus cinclus) Can be seen all year round near fast flowing rivers, mainly in upland areas. 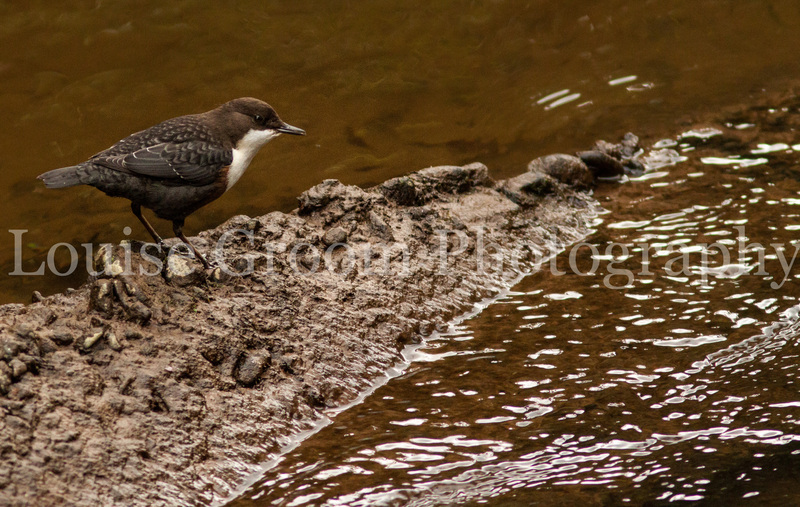 When stood on rock the dipper sometimes bobs up and down. They have evolved an ability to hunt underwater.